The difference in measurement values can be attributed to the difference in calculation methods for normal mode and harmonic mode. 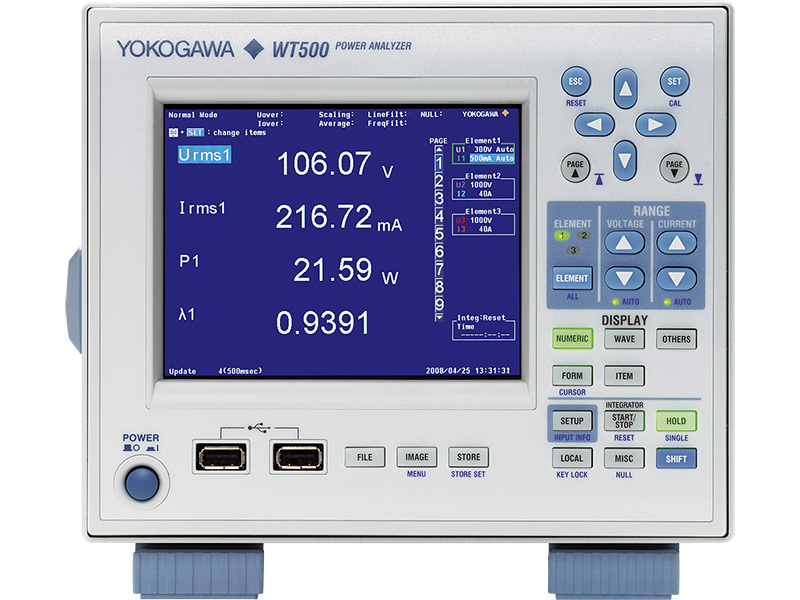 The voltage, current, and power in normal mode are displayed as the total of the measured values from all components (starting with the DC current component) in the bandwidth range. Therefore, even if there are signal components between the fundamental wave and the second order harmonic (interharmonic components exist), they are included in the total value that is displayed. On the other hand, when measuring in harmonic mode, signal components between the fundamental wave component and 2nd order harmonic component are not included in the total values for voltage, current, and power. In other words, since the interharmonics are not included in the total value (fundamental wave + 2nd order + 3rd order...), basically the total value in harmonic mode is slightly smaller than that of normal mode. Please see the attached images highlighting the differences between normal mode and harmonic mode.